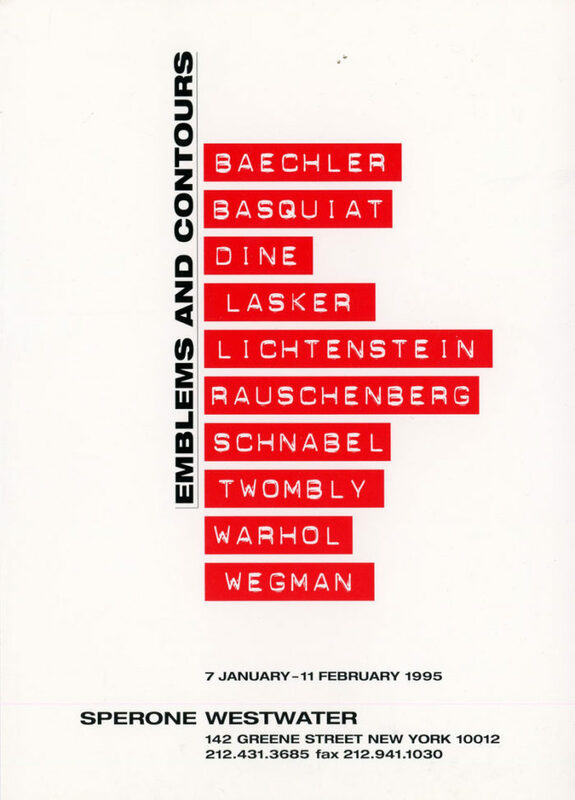 Card for Emblems and Contours, a group show at Sperone Westwater Gallery, 1995. Participating artists included Basquiat, Lichtenstein, Rauschenberg, Schnabel, Twombly, Warhol and others. Card is one-sided.